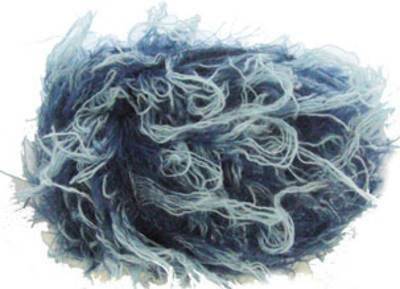 Katia Soho scarf yarn, 87, 2 shades of blue - supersoft, shaggy chunky yarn with wool, perfect for scarves. 36% nylon, 32% wool, 32% acrylic. 50g per ball, 85m - 2 balls make a scarf .